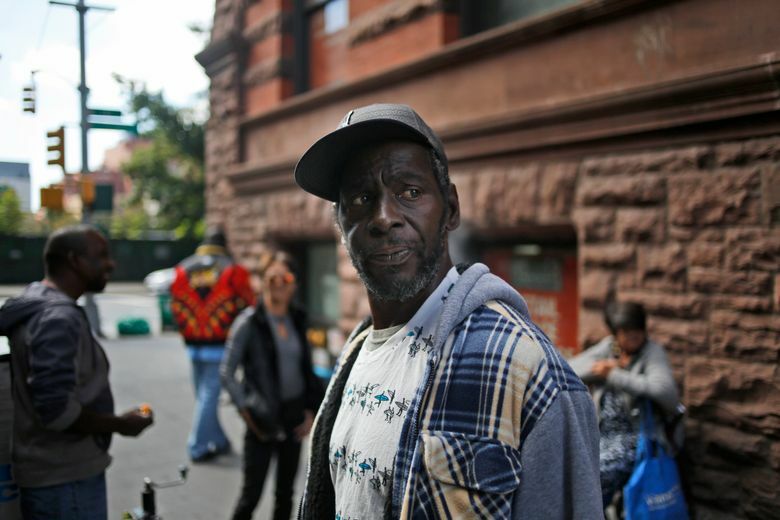 NEW YORK (AP) — It’s before dawn when two outreach workers find a homeless man known as Juice near a train station in Harlem. A nurse will be visiting to discuss his heart problems, they tell him. Gladys Rivera and Ali Olson are part of a citywide, round-the-clock army of workers for nonprofits contracted by the city. 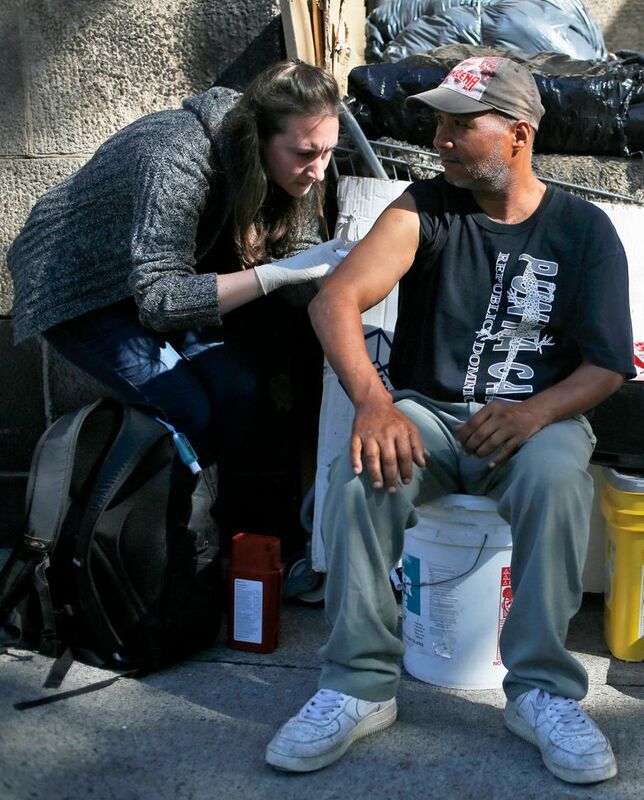 Their aim is to get the homeless into shelter, and so they make the rounds of upper Manhattan, checking on clients, identifying newcomers to the streets and trying to connect them with services. They are often rejected, but they do not give up. “You never know which one is going to be the one that sticks,” said Olson. The nation’s most populous city also has the nation’s largest homeless population, with 75,000, and like other high-rent cities, it has not been able to move the dispossessed to permanent housing nearly as fast as people are becoming homeless. But there is one key difference: The homeless in New York are far less visible on a daily basis than in West Coast cities where the population has exploded over the past couple years, leading several local governments to declare states of emergency. The city had fewer than 4,000 unsheltered homeless in an official count taken in January, a number that might have been deflated somewhat by winter weather. But that amounts to only about 1 in 20 homeless people being unsheltered. That compares with 15 of every 20 homeless people in Los Angeles sleeping on the streets or in tents, vehicles or abandoned buildings. In California, Oregon and Washington combined, 12 out of every 20 homeless people have no shelter at night. New York City has more people in shelters than the three West Coast states combined – and about the same number living on the street as Oakland, a city that has just 5 percent the population of New York. The District of Columbia has a similar right-to-shelter policy in effect during cold-weather months, and Massachusetts has one for families with children. Both places have relatively low numbers of street homeless, or those who do not have shelter on any given night. Some West Coast cities are pushing for permanent affordable housing as a long-term fix for the growing homeless crisis, but officials also are looking for immediate answers. The idea of right-to-shelter programs mimicking New York’s has popped up in this year’s mayoral race in Seattle. Homeless families can get short-term shelter while their cases are investigated and longer-term shelter if they are found to need it. For single adults, there is even easier access to the system. They show up at intake centers and are usually given a place to stay that night. There are ample opportunities to get inside, said Cedric Harden, a 35-year-old formerly homeless man now working as a chef. While the effort is expansive, it’s also not cheap. Last year, New York spent nearly $1.7 billion in city, state and federal money to aid the homeless. 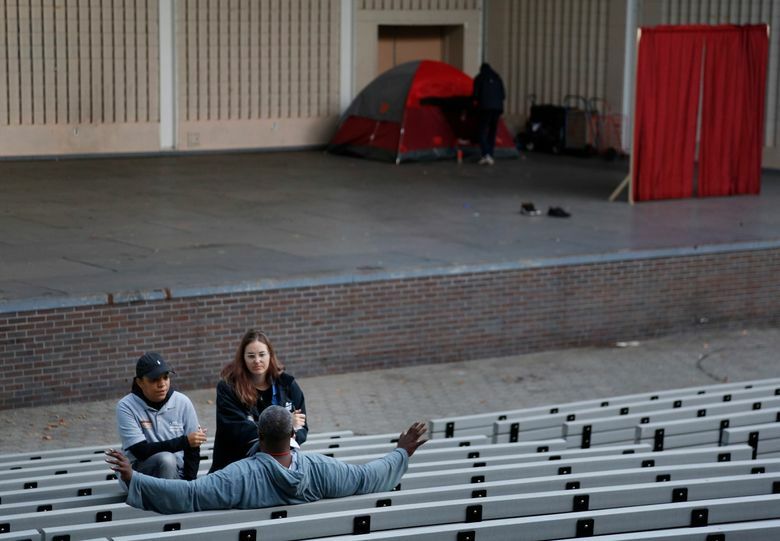 And even with that commitment, the sheltering program has its critics among the homeless. 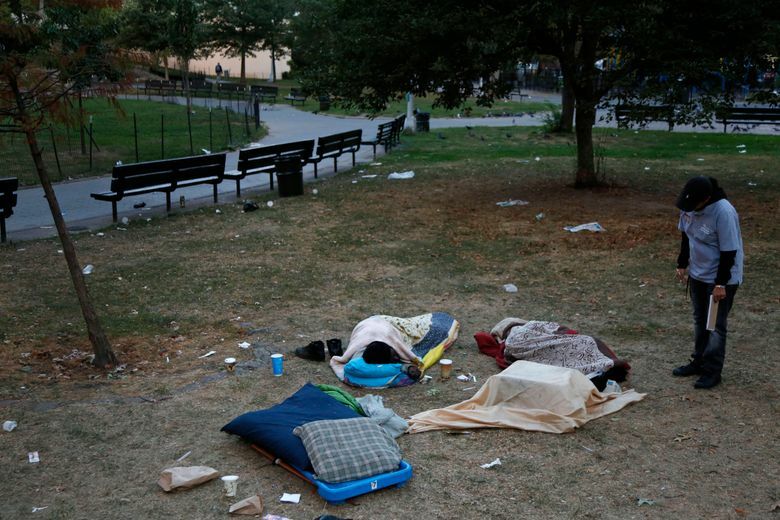 Some 4,000 people continue to sleep outside. 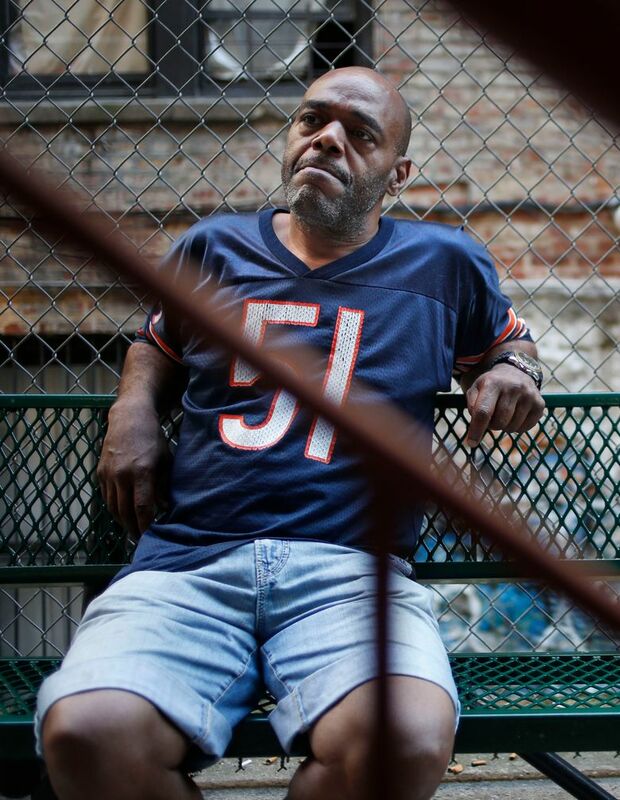 “No one wants to be in a shelter … where all anybody does is fight,” said Anthony Rainey, who was packing his possessions into a wheelchair when the caseworkers spoke with him during their early morning rounds. Rainey, 63, had slept next to a school but cleared out before students arrived. He said he has been on the streets since 1971, when he got back from his time in Vietnam as a Marine. He’s stayed out even after being hit by two cars and breaking bones a few years ago. 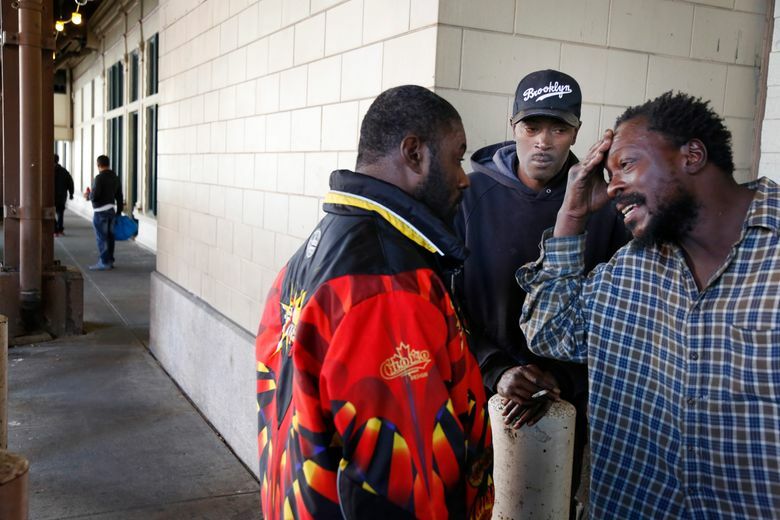 For the people who remain on the streets – many with mental health issues, drug addictions or years of incarceration in their pasts – Rainey’s complaint is common. They note the police officers who serve as guards, the small lockers and strict curfews. 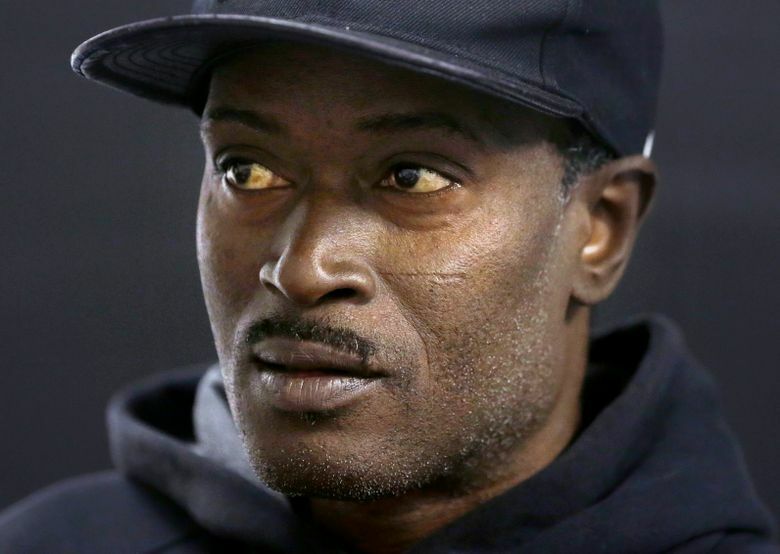 “A shelter is no different from jail,” said William Bryant, a 50-year-old who has stayed with a group of a half-dozen others in front of a vacant sushi restaurant near Penn Station since he was released over the summer after a four-month stint in jail for drug possession. Steven Banks spent more than 30 years suing the city to help the homeless, and it was his lawsuit that forced New York to shelter homeless families, who now make up most of the sheltered population. Now he’s working on the inside, after Mayor Bill de Blasio appointed him three years ago to oversee the Department of Homeless Services. Among other things, he wants to phase out the use of hotels to house the homeless. A city comptroller report earlier this year found that nearly 8,000 people were being put up in hotels at a total cost of more than $500,000 a day – a high price for housing that’s not permanent. Banks also is pushing to improve conditions at shelters. He wants to open 90 new facilities, increase the size of the outreach staff and give them better technology to share information about clients. The overall plan, adopted earlier this year, aims to reduce the shelter population by 2,500 over five years. While that sounds like a modest objective, Banks said the key is reversing the growth of the Department of Homeless Services’ shelter system. The homeless population has nearly doubled since former Mayor Michael Bloomberg took office in 2002. Banks said there are four steps to addressing homelessness: keeping people in housing; getting those who are homeless off the streets; making sure shelters are safe and decent; and moving people from shelters to permanent housing. 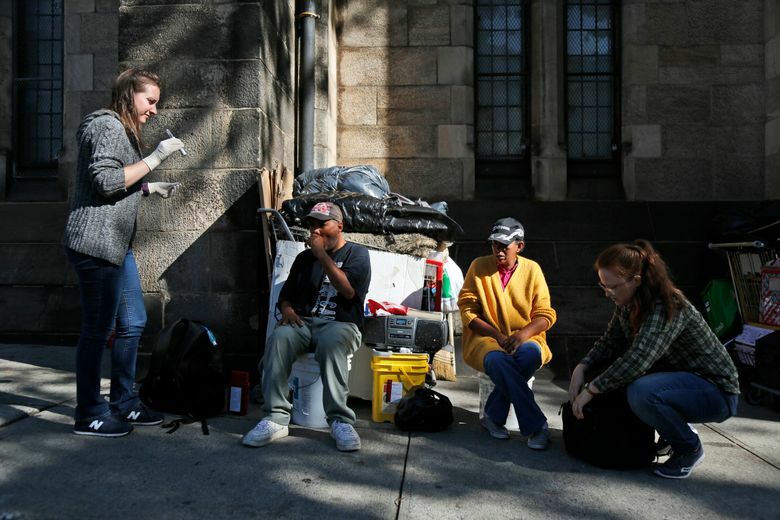 The other prominent East Coast cities with right-to-shelter polices, Boston and the District of Columbia, have seen the same success as New York in getting the homeless off the streets on any given night – and like New York, they are searching for long-term answers. Joe Finn, president of the Massachusetts Housing and Shelter Alliance, said it’s common for people in his state to get stuck in shelters. And yet even the temporary shelters are better than the alternative by some measures. One recent study concluded that people who are homeless and living on the streets die at a much higher rate than those without a housing option. Amid the challenges in trying to get people off the streets, there are many success stories. 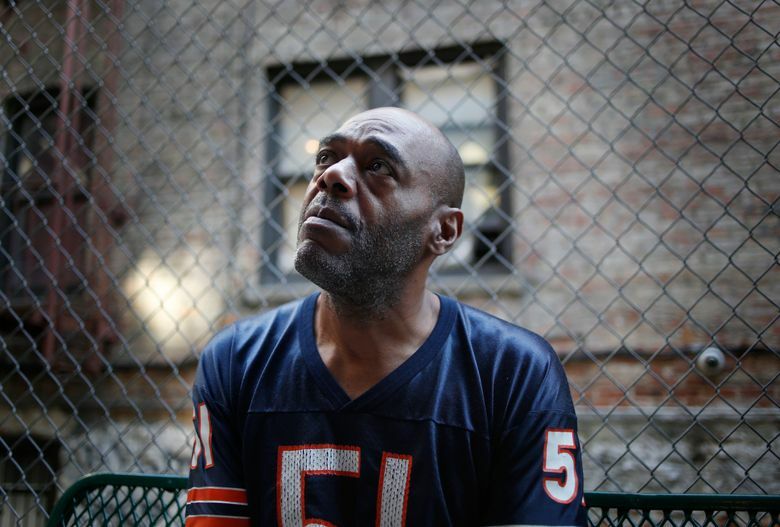 Paul Franklin is staying in a shelter in the Bronx while he waits for an apartment to be ready for him in a building that provides supportive housing. Franklin was on the streets off and on for about a year after he was released from prison in 2015, having served six years for assault. By the fall of 2016, he was assigned a cot at Delta Manor, a former apartment building that had been transformed from a general shelter to a specialized one that serves 101 men with mental illnesses. The facility has cots and lockers, like the larger shelters. It also has psychiatrists on staff along with nurses who monitor residents’ prescriptions. There’s a laundry room, a TV room with art by residents on the wall, a cafeteria that serves three meals a day, and a patio where the men doted on kittens born there recently. Franklin said this shelter is far better than the alternative.